Our 2010 Silverado 1500 LT is one great truck! Good job picking this one! The LT 4X4 Crew Cab is powered by the 5.3-liter, 315-hp V8, which surprisingly gets the best overall EPA estimated gas mileage of the family, you will enjoy the sensibility of this machine along with the WOW factor. 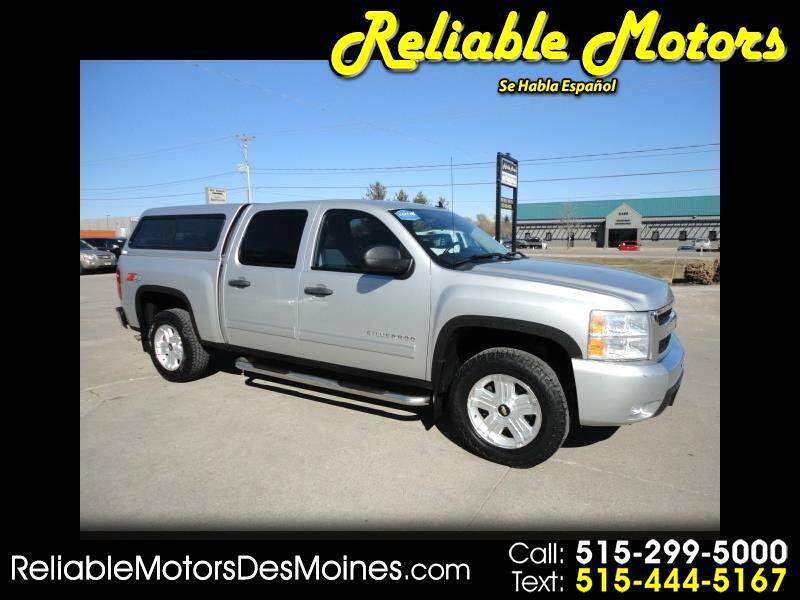 The Crew Cab brings room for carrying a extra passengers or loads of grocery bags. How about power & acceleration? The Silverado 1500 tested well for initial and highway power. On the highway, it accelerates aptly and drops down to fourth gear without a pronounced delay. Our LT is one comfortable ride that also provides a convenient cabin layout. Take a look at the photos and see for yourself!! The NHTSA gave the Silverado full marks across the board for safety, with its lowest mark being a four out of five for rollover resistance. You can liven up your life by adding this beautiful machine to your collection. Print this page and call us Now... We Know You Will Enjoy Your Test Drive Towards Ownership!